The Case of Who’s in Charge: Whose language will we speak? This case takes place in one of the world’s largest companies. The company has recruited, at much expense, a leading Nigerian scientist to head up a project; he is perhaps the only person in the world with the unique knowledge base, experience and connections needed to see this major project through to fruition. The company has gone to great expense to relocate the Nigerian project manager to western Europe, and to assemble a cross-functional team of the company’s leading professionals to aid with the project. The project is of huge significance for the company. The plan is that it will break new ground and shift the way such projects are implemented worldwide. There is much hope and excitement, as well as huge investment and anticipated return, riding on it. 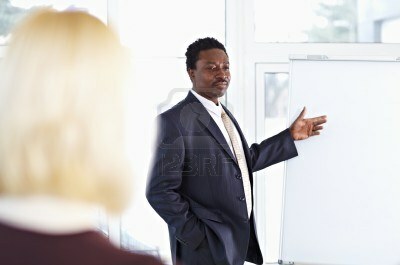 The project manager, the Nigerian scientist, calls a meeting with three of his team members. All four people greet one another in English, shake hands, and sit at a table for the meeting. The project manager introduces the agenda, in English. After a few minutes the discussion seems to naturally shift from English into the local language, and continues for about 45 minutes. “Why didn’t you say so?! We could have switched to English! !” The others’ mouths drop open in disbelief at this waste of time, and the scientist’s failure to speak up. After this meeting, the project manager requested his removal from the project. It appeared this hugely anticipated effort was dead before it had even gotten going! An orientation to cross-cultural collaboration, including work on understanding and learning to deal with issues of post-colonialism, may have prevented this rocky start. There are times when, once mistakes have been made, there is no rescue or remedy. Convincing these team members to give it another go, to get past their doubts and discuss ways of respectfully and productively working together, required skilled facilitation. The project manager was convinced that his team members were racist, and the team members were convinced the project manager was overly sensitive. Both thought the other arrogant. What are some of the techniques you might use in such a scenario? How might you help the team members gain empathy for what the project manager was feeling? How might you equip them with the skills they need to demonstrate respect in such an environment? How might you help the project manager develop the skills he needs to manage team members effectively, given post-colonialist realities? This entry was posted in Cultural DeFectives - Missteps and tagged Business, Cross-cultural communication, cross-cultural skills, Cross-functional team, Cultural Detective, diversity and inclusion, English language, global business effectiveness, global diversity, intercultural competence, Management, multicultural society, Project management by Dianne Hofner Saphiere. Bookmark the permalink.